Our Accident Free 2014 Dodge Grand Caravan SXT shown in Maximum Steel Metallic Clear Coat has been meticulously built to meet your needs. Powered by a Pentastar 3.6 Liter V6 that offers 283hp while harnessed by a smooth shifting 6 Speed Automatic transmission that provides a second overdrive to enhance fuel efficiency. Our Front Wheel Drive Grand Caravan rewards its owners with near 25mpg on the open road, translating to nearly 500 miles per tank. 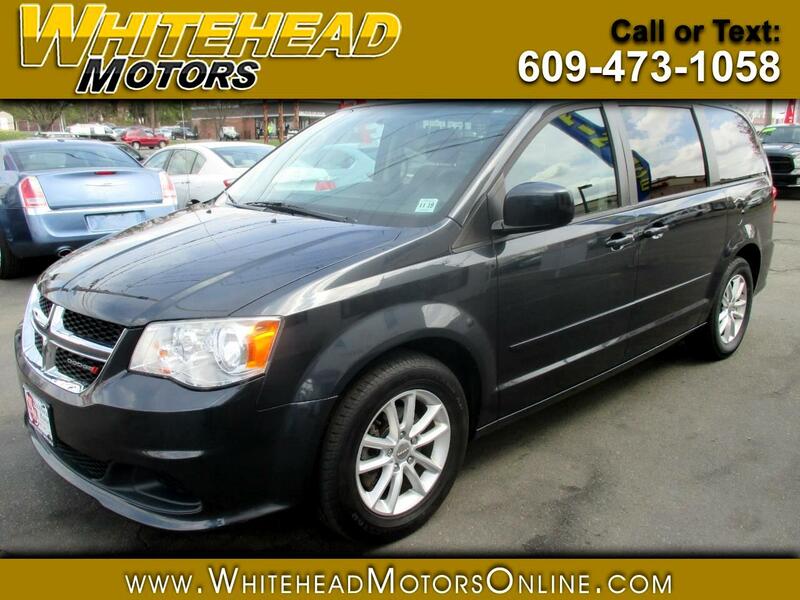 The SXT is a sleek looking minivan accented by alloy wheels and roof rails. Whether you are making a simple trip to school or getting all the gear to the game, you will enjoy the soft-touch materials in the roomy and well-built SXT cabin. Versatile seating and cargo bay configurations along with power sliding doors, tri-zone climate control, and a power liftgate are incredibly helpful conveniences for the daily routine of your modern family. As the best-selling minivan of all time, it's adaptable, practical and is guaranteed to make life easier. Dodge is concerned about the safety of your family, so our ultimate family vessel is loaded with features to safeguard your loved ones. Eager to please and ready to roll, it's waiting to meet your needs. Print this page and call us Now... We Know You Will Enjoy Your Test Drive Towards Ownership! Get Approved In Minutes at Whitehead Motors. We Make Car Buying Easy.